Ease of Setup: Easy for 1 person, super easy with 2 people. For the price you cannot go wrong! I refuse to pay $300, $400, $500 or more for a tent no matter how good it is supposed to be as in the Bibler, North Face, MSR and Sierra! 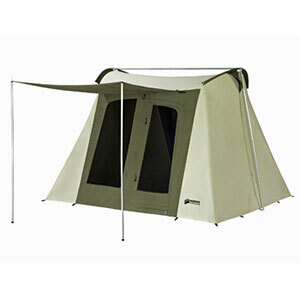 The hands-down fact is Chinook makes just as good of a tent at literally 1/2 the price or even less! 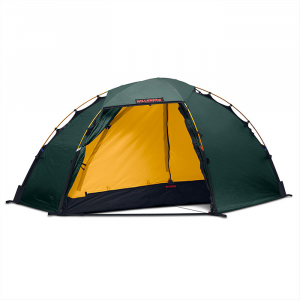 The tent is easy to set up if you're by yourself and super easy if you have another person helping you. 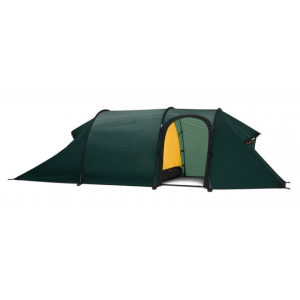 Setup is also relatively quick which is good in case you get a late start to where your going and need to get your tent up quickly instead of fumbling with a hard-to-set-up cheaper tent that will leave you stranded in the dark fumbling around! I've never understood what a "footprint" is for, so if you do I'll leave that to your like or dislike. I just know I like this tent and it is probably the best one I have ever had! Once you get the shock-corded poles in and have the basis of it set up it has these awesome little clips that clip onto the poles making it super quick and easy to finish setting up. Talk about an ingenious idea! 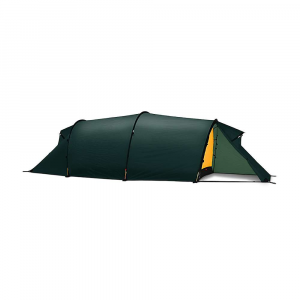 The rainfly is easy to throw over the top by yourself and attach to the rings at the bottom of the tent where the pin-and-ring set up is for attaching the poles. Then the fly has easy to follow and attach, strong velcro closures that wrap around the poles in specific areas for extra durability in high winds. It also has some type of strong foam or rubber on the front edge of the vestibule which makes an "over-hang" so you can leave the top of the front door open for more ventilation and it will keep the rain or snow out while the door is open. This is great in case you are using a small propane heater like a Sportcat. Remember that no matter what type of heater you're using, they burn up oxygen so make sure for safety, you have plenty of fresh air coming into the tent when using any type of heater! Once staked down at the corners and staking down all the guy lines on the rain fly it is extremely wind resistant. There is plenty of room between the tent body and the rainfly that it doesn't slap together waking you up when the wind blows. Let's face it, there is nothing worse than a noisy tent flapping and waking you up or keeping you awake when your tired and cannot get to sleep! While I go camping with family and friends, I'm a single guy and I LOVE my space. 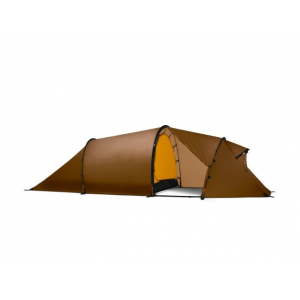 Even though this is a 3-man tent it is AWESOME for a single person that enjoys their privacy or has an extra big sleeping bag and likes to sprawl out in comfort at night!!! I would bet it is as spacious with two people in it that share a "couples" sleeping bag as well. If you want an awesome tent that is a 4-season and can't afford, or like me, won't pay hundreds of dollars for one, this is the tent you need. Most of the Cyclones are over $200 but if you watch for sales you can get them a bit cheaper which is what I've done. Since accidents happen, even if I am only going for a "ride" in the desert or mountains for a day trip, I take the tent with me for shelter just in case something happens like vehicle problems; at least I'll have a comfortable place to sleep for the night until help arrives! It is packaged well in its own carry case (that it actually fits back into when YOU roll it up) and is small enough to just throw in the trunk or the back seat. Remember to always let someone know where you'll be and an expected time you'll be home so that they can send friends out for you if you don't show up! I also have a few granola bars or energy bars in the tent in case as well for something to eat in case I get stranded! I got this tent because Mt. Adams shredded my 3-season tent last year. This time up there inside this bomber shelter we laughed as torrents of rain pounded us. We were guyed out using the eyebrow looking vents and had zero condensation. It's a tough little tent, well not little, it's a three-man and fits three well, or me and three kids and a dog. Being bigger is trouble though when your site is small. Also in extreme cold the extra area is harder to warm up with body heat. The aluminum poles were sold out so I had to get fiberglass. This is a heavy tent but I hope to fix that when the aluminum poles arrive. At under $160 I like the price. The Chinook Cyclone 3 is not available from the stores we monitor.